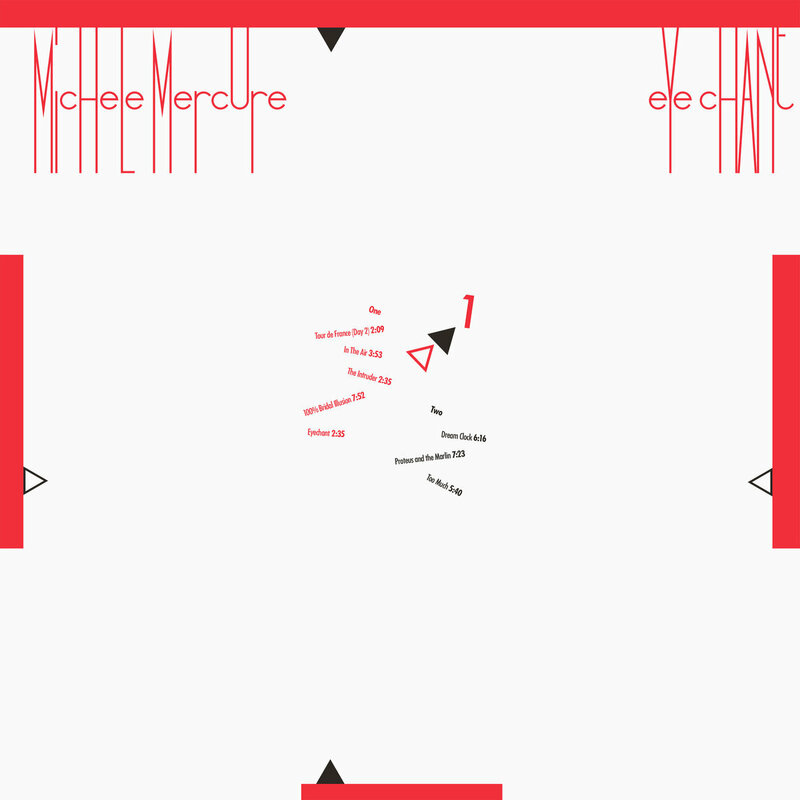 Michele Mercure is the name of the composer, sound designer and film producer behind RVNG Intl's sub-label Freedom To Spend reissue of Eyechant, an album of minimal electronic delight. Coincidentally it’s also the name of an actress that played in Dusan Makavejev’s Sweet Movie, an experimental, revolutionary film about two powerful but different women in the peak of the seventies sexual, communal art scene, a time frame that was probably one of the most fruitful for cinema experimentation. Electronic music’s breakthrough golden age was the eighties and (back then) Michele Musser’s 86 album is as representative of the decade as is Sweet Movie for the seventies. High pitched ‘epic’ synths, mechanical slow paced loops, organic compositions featuring vocoders, baby voices or resembling human corporal processes like breathing, vibrant danceable minimal wave, marvelous improv and some other treats I’ll let you discover on your own, make up for a complex, though not heterogeneous, high quality album. Although the comparison between the film and this reissue might be slightly forced, there are few other Meta similarities that I couldn’t help to notice; the unstructured whole of both creations, the feminist approach, the juxtaposition of ludic and sober tones and the freedom and materialization of their eclectic visions into a very entertaining yet almost academic and one of a kind artistic product.